I’ve decided to start creating paintings of the artists/actors/musicians/personalities that I loved in my lifetime. Michael Caine is at the top of this list. He first grabbed my attention in the movie “The Man Who Would Be King”, and never lost it. He reminds me of my dad, but hotter (sorry Dad). Handsome, witty, confident, intelligent, British – the total package. 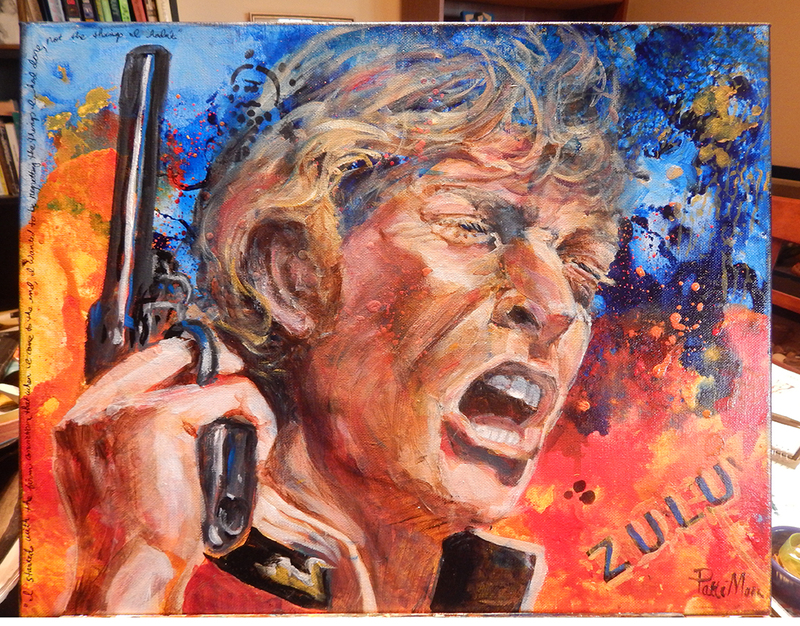 I really loved this photo of him from the movie “Zulu”, and I’ve paired with with a quote of his: “I started with the firm conviction that when I came to the end, I wanted to be regretting the things that I had done, not the things I hadn’t.” (which is handwritten onto the painting surface).